Do large cruise ships have worse customer service? Study: Do large cruise ships have worse customer service? If there’s one clear trend to come out of the last few years, it’s that massive cruise ships (known in the industry as megaships) are the future of cruising. There’s no denying that these giant, floating resorts have far more to offer in terms of activities, entertainment, and dining options, but we’ve heard concerns that the personalized service the industry is known for will suffer on vessels with over 4,000 guests. Our curiosity got the better of us, so we decided to dig into our library of more than 130,000 reviews to see if we could find any connection correlation between ship size and service scores. - We only used the service and staff score of reviews from the beginning of 2016 through today. Only ships with 50+ reviews in that time period were counted. - We only used ships from the “Big 6” lines: Carnival, Royal Caribbean, Norwegian, Celebrity, Princess, and Holland America. - We classify ships as small (<1,000), medium (1,000-2,000), large (2,000-4,000), and extra large (4,000+) according to their passenger capacity at double occupancy. - Because small ships are generally only sailed by luxury lines, only medium, large, and extra-large ships were included in our study. The first data point we looked at was the average service scores for all Carnival, Royal Caribbean, Norwegian, Celebrity, Princess, and Holland America ships segmented by size. Conclusion: On the surface, it seems pretty clear that smaller ships handle service better, but it’s worth digging deeper. Are there any differences between cruise lines? Conclusion: With the one notable exception of Celebrity (whose large solstice-class ships are some of the highest regarded in cruising), every single line we evaluated showed a downward trend in service as ships get bigger. There was a differnece in the severity of the downturn, however, with lines like Carnival and Royal Caribbean showing only slight decreases in scores across ship size. Next, we wondered if it wasn’t ship size that has the biggest impact on service scores, but rather the number of crew members for every passenger on board. Luxury cruise ships have ratios approaching one crew member for every passenger, whereas mainstream lines like the ones we’re looking at here are closer to two to three passengers for every crew member. To evaluate this we looked at the correlation coefficient between the crew-to-passenger ratio and the ship’s service score. Don’t panic, we’re not statisticians either. In the simplest terms, a correlation coefficient is a number from -1 to 1 that calculates the relationship between two variables, which in our case would be the crew-to-passenger ratio and the service score. For our purposes, that means a correlation coefficient of 1 would mean more crew members per passenger leads to higher service scores, 0 would mean no relationship, and -1 would mean fewer crew members leads to higher service scores (not likely). Conclusion: According to our calculations, the correlation coefficient was 0.07. In other words, there’s not much of a relationship between the crew-to-passenger ratio and the service score. Averages don’t always tell the whole story, so let’s take a look at Norwegian, the only cruise line in this study with ships in the medium, large, and extra-large categories. Conclusion: There’s a bit more variation here than we expected, but it’s worth noting all three of Norwegian’s medium-sized ships were in the top seven, and three of their four extra-large ships were in the bottom five. On the other hand, their top-rated ship was in the large category, and Norwegian Escape, an extra-large ship, finished fifth, beating out five large ships and even one medium sized one. - There is a clear trend of smaller ships receiving higher service ratings. Our reasoning? It’s simply harder to deliver the cruise industry’s signature personalized service when you have more than 4,000 passengers to take care of, even when you have more crew members on board. In other words, megaships can fit more activities, entertainment venues and restaurants, but there is a small trade off in service quality. - Some lines handle large-ship service better. Royal Caribbean and Carnival showed much smaller decreases in scores across ship sizes than Norwegian, Princess, and Holland America, and Celebrity's large ships wildly outscored their medium-sized vessels. - There is variation between individual ships. 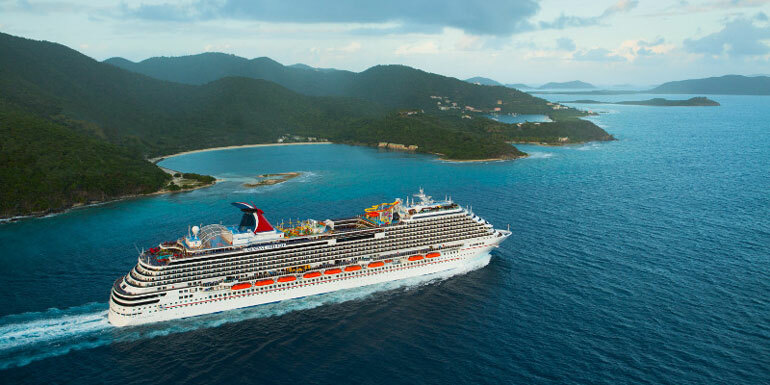 Some megaships like Carnival Breeze, Allure of the Seas, and Oasis of the Seas scored stellar service ratings of 4.5 or higher. - Finally, it’s worth noting that the slightly lower service scores megaships receive still reflect an extraordinarily high level of satisfaction. If you look the other ship categories in our 2018 Members’ Choice Awards you’ll notice that the average extra-large ship service score of 4.32 is actually higher than the top average score for categories like dining, children’s programs, onboard activities, and entertainment. Do you feel that larger ships have worse service?